29 Jan 2019 --- Modern biotechnology can be used to entirely remove gluten from the wheat genome or target and remove “toxic” epitopes from the gluten protein. This means that the gluten retains its unique baking characteristics, but does not trigger an autoimmune response in celiacs, according to University of Wageningen researchers. Celiac disease is an autoimmune disorder, whereby the consumption of gluten triggers an immune system response in the the gut. The only intervention currently available is a strict, lifelong gluten-free diet, which can be challenging to follow. 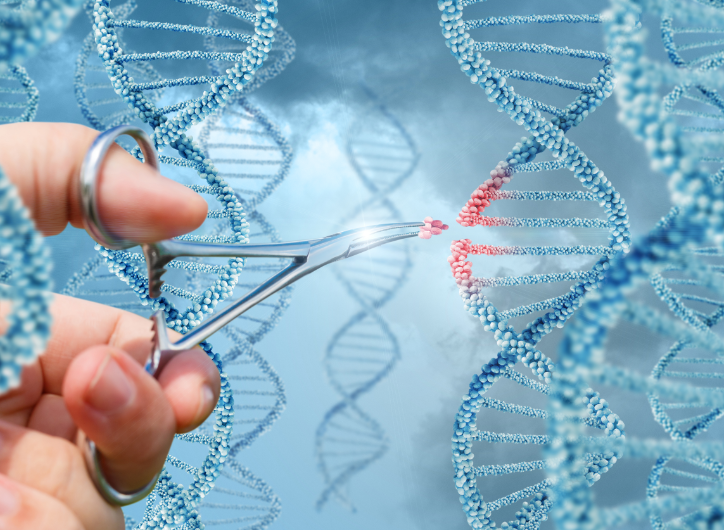 However, the use of gene editing tool CRISPR/Cas9 could present future opportunities, say the researchers. “The gluten genes are located within the wheat genome as a repeat of several genes – it's not only one gene, it's a repeat of 10 to 20, or even 50 genes, in one chromosome. Not all of these genes have the toxic epitopes and its possible to remove part of them and leave the non-toxic ones,” Jan Schaart, Researcher at Wageningen Plant Research, tells NutritionInsight. Awareness of celiac disease is increasing; it is estimated that the disease currently affects 2 to 3 million Americans and an estimated 1 percent of the global population. With rapidly increasing numbers of patients being diagnosed with the disease, there is a growing need for improved treatments. The only intervention currently available is a strict, lifelong gluten-free diet, which can be tough to follow, as wheat gluten is added to many processed food products for their viscoelastic properties. For this reason, gluten-free products typically require the inclusion of numerous additives to adjust their texture and taste, resulting in products that are often less healthy and more expensive than gluten-based equivalents. Click to EnlargeThe idea to use gene editing in this field derives from the Ph.D. thesis of Wageningen University Doctoral Candidate Aurélie Jouanin. Recent research has suggested that celiac disease could be caused by the bacterial enzyme, microbial transglutaminase, which is often used to manufacture sausages, cheese, bread and other processed foods. Food additives have, for some time, been suggested to contribute to celiac disease, but the new research suggests the bacterial enzyme heavily used in industrial processing is emerging as a likely culprit. Thus, there is a need to develop healthier food products for celiac patients, note the researchers. The idea to use gene editing in this field derives from the Ph.D. thesis of Wageningen University Doctoral Candidate Aurélie Jouanin. As a proof of principle, Jouanin generated wheat plants in which some wheat gliadin genes were modified or removed. These edited wheat plants are not yet safe for celiac patients, as there is a large number of gluten genes present in wheat and not all gluten genes have been targeted. Jouanin, therefore, also developed high-throughput methods to determine which genes have been modified and which remain to be edited in future steps towards a safe wheat variety. The research has been ongoing for five years, yet the discovery is at least five to ten years away from reaching the market, Schaart notes. The team at Wageningen University are now seeking further funding, as well as appropriate collaboration partners. However, once it does reach the market, Bianca Rootsaert, Managing Director of the Dutch Celiac Association (Nederlandse Coeliakie Vereniging), notes the huge potential benefit it could bring to people with celiac disease. 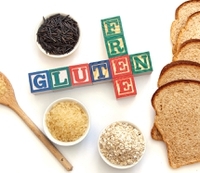 “Celiacs are struggling on a daily basis with the issue what they can or cannot eat. Gluten-free wheat would be an extreme improvement of the quality of life of celiacs. It will, however, be important for coeliacs to distinguish gluten-free wheat from ‘normal’ wheat, which will lead to stricter regulations on food packaging and ingredient information,” she says. Indeed, within the thesis, Jouanin notes that new test methods for food products need to be developed, since the current gluten-free tests will not be able to distinguish gluten stripped of immunogenic epitopes from regular gluten. In 2018, the higher court of the EU decided that mutagenesis techniques, such as CRISPR/Cas9 fall under the strict regulation of the GMO law. This means that if wheat lines that are safe for celiac patients are produced, they must go through extensive food safety and environmental tests, Schaart explains. However, such tests can be prohibitively expensive. The scientific community has questioned this directive and made calls to amend it. In an article, published in Trends in Biotechnology, researchers funded by among others the Swedish Foundation for Strategic Environmental Research (Mistra) argued that new plant breeding techniques (NPBTs) developed over the past two decades have provided ample possibilities for efficient plant research and trait development. However, diverging stakeholder opinions and politically motivated arguments have left policy-makers in the EU bereft of license to decide on their status in relation to existing regulations. Indeed, Jouanin investigated the effect of gamma irradiation techniques in the research, which do not fall under EU restriction. However, this type of technique potentially removes a number of other genes from the wheat genome, and not just the toxic ones. Regulations in the US, Japan and Canada welcome the use of the technologies and they don’t face tough regulations. “[We could] produce wheat which will be commercialized in the US, and then it would be a question of importing the lines into EU. In this way, they will not be labeled as being made with new techniques, they will just be labeled as safe foods. This is an interesting theme and something that will happen in the near future. Products made via new technologies will come to Europe. This is a potential opening,” notes Schaart. The UK’s food regulation space may also be ripe for change following its exit from the EU, but it should tread carefully to remain compliant with EU standards, or risk alienating its own GMO skeptical domestic consumer market. This is according to Dr. Elinor McCartney, President of Pen & Tec Consulting Group, who spoke to our sister website, FoodIngredientsFirst. “There is an opportunity for the UK, if Brexit does go ahead, to overhaul their GMO legislation to allow modern biotechnology to take a more modern approach to safety in the food chain,” the Spanish-based policy advisor notes, as an example. “The two difficulties that this presents relate to how they would trade with the EU, which has different GMO legislation and how UK consumers, who tend to be the same as other EU consumers in their attitudes to GM crops, would respond,” Dr. McCartney adds. However, beyond biotechnology legislation, the UK has more pressing matters right now and the issue will be lower down the pecking order for some time, she notes. UVB exposed mealworms: The next go-to source of vitamin D?